More and more business processes are now affordable and accessible to all sized businesses on an outsourced basis, and more and more organizations are taking advantage of the opportunities that present. A major driver behind this trend is the emergence of cloud computing over the last few years. The impact of the Cloud on BPO: Reality or Hype? Insight into potential points of inflection, while on the road to cloud services, that enterprises need to know about and be prepared. How to manage this technology catalyst for introducing business process best practices in the organization. How to invest and take advantage of future opportunities in cloud services and BPO. 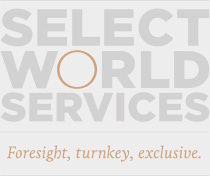 JOIN the executives in the group below for senior-level conversations, exchange of ideas and networking at Select World Services’ Exclusive, intimate, by invitation only CXO dinner – The Reinvention of BPO Services.